Beautiful Pocket Junior organizer with magnetic closure. Inside on both sides are spacious compartments for paperwork. Under the closing clip there is room for a pen. 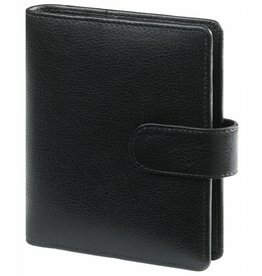 The high-quality ring mechanism is compatible with Success, Collins and Pocket by Filofax.